If you take a walk by the shores of Lake Vanajavesi in Finland you may well see a small boat drifting on the waves with an old man sitting in it fishing. The old man will keep his whole catch and sell it to fishmongers in nearby towns and that is the sole source of his earnings; despite being retired he will not draw his old-age benefit or pension, drive a car or travel anywhere overland except on foot or by bicycle. His house has no electricity or running water. 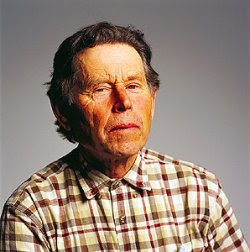 That man is Pentti Linkola, one of the most controversial figures in the Environmental Movement. He is often labelled, and indeed says nothing to cast off such a label, an “eco-fascist”. This man is the dark side of the Greens, one who will make those well-meaning folk who man the stalls in city centres recoil. 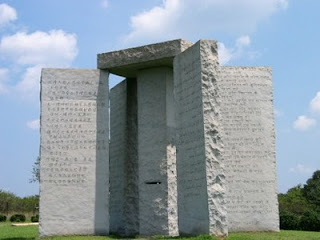 Some of the infamous statutes on the mysterious Georgia Guidestones (See: http://hpanwo.blogspot.com/2009/06/alternative-view-ii-part-7.html) are, coincidentally or not, attributable to Linkola. He has a small, but dedicated fan base; here’s one of their English language sites: http://www.penttilinkola.com/ . Whatever else he may be he is not a hypocrite; he models his own life on his principles. Linkola’s inspirations are unusual for an environmentalist: Hitler, Communism, the Finnish Stalinists, the various Marxist and fascist movements around the world; but his views of the current state of the global ecosystem and human relationships to it are so direly pessimistic that he sees extremism as the only solution. It is for him the only way to prevent the death of Planet Earth. His vision is for society to be ruled by a totalitarian and draconian environmentally-aware elite that would control all aspects of human activity with ruthless pragmatism. Overpopulation is the greatest problem, he believes, and he thinks that the human world population should be reduced to five million, about the population of London. This is going far further than the Georgia Guidestones, which are generous enough to allow 500 million continue to live. Linkola is more honest than the Guidestones and openly admits that this reduction would be impossible without a deliberate population cull. He suggests this could be achieved by an international body, like the United Nations, bombarding all major cities with nuclear weapons; the radioactive fallout from this would be a minor injury compared to not doing it. The survivors would then be rounded up and moved into the countryside onto collective farms which would be self-supporting pastoral communities. He believes that all technology invented and introduced during the industrial period should be banned including motor vehicles and electrical appliances. The only transport allowed would be the bicycle for overland journeys and rowboats for the waterways. Overseas travel would be virtually non-existent. Procreation would be strictly licensed and termination routinely and summarily used in all cases of unauthorized pregnancies. Defective children would either be terminated before birth or euthanized as soon as diagnosed. There is no place for “useless eaters” in Linkola’s model. If you think that sounds appalling then I agree. In fact he sounds to me like Pol Pot on Speed! What I want to know is why did Linkola come up with this nightmare? How could anyone contemplate it? It could be based on his background; he was born in 1932 in Helsinki, but spent all his schools holidays wandering round the countryside with his father, who was the famous botanist Kaarlo Linkola. The young Pentti must have fallen in love with the Finnish countryside; and it is beautiful, I’ve seen it. We all know that love can make us blind, blind to reason and morality. Linkola is right when he says that the current status of human society is environmentally unsustainable. The pathology of the New World Order agenda has caused us to carry out pollution, deforestation, destruction of nature, the squandering of resources and many other acts are a threat to the future of our home planet. I don’t include overpopulation, and I’ll explain why in a moment. It’s important to see Linkola’s thoughts in the context of the mindset of Finnish people. Finland is a country that is off the beaten track of tourism, but it’s one I’ve visited. The Finns are a very individually closed society. What struck me when I was there is that I felt that everyone was ignoring me. At first I felt offended, but then realized that they do the same thing to each other, especially in wintertime which is much longer, darker and colder than Britain’s. Finland is classified as a European country, but their language and culture are not related to most of the others in Europe. Most significantly in relation to Linkola I’d say that Finnish people are more than any other nation, as the horror-writer James Herbert said, “in touch with their dark side”. Many Finns like “black metal”-type music and enjoy horror and war literature. This is not a criticism, just an observation; in fact many philosophers consider integrating your dark side a path to great wisdom. From my own point of view I would not endorse Linkola’s revolution no matter what the price, and Linkola would call me a “Hater of Life” for that. He uses the analogy of the lifeboat: If a ship with 100 people on board sinks and there’s only one lifeboat that can hold 20 people and so there are 80 people thrashing in the water, begging for help. The “Haters of Life” are those who will hold out their hands and pull the people in the water aboard, and in doing so sink the boat. The “Lovers of Life” are the ones who are prepared take the ship’s axe and hack at the hands of the people clinging to the gunwales so that they drown. I’m not a “Hater of Life” though, if for no other reason than these measures are not necessary. In fact extremist Environmentalism, along with its underground black sheep brother Survivalism, is a vehicle that the Illuminati-occupied governments are currently using as a Trojan Horse for their agenda (See: http://hpanwo.blogspot.com/2009/11/alternative-view-3-part-4.html). To adapt Linkola’s grim analogy: The ship actually has plenty of lifeboats, but the captain has kept that a secret from the rest of the crew and passengers. Not only that but I don’t think the ship is even sinking; it’s being scuttled! Scuttled by the captain just so that he can get people grabbing axes and hacking hands. Then he can run a new and much tighter ship aboard that sole lifeboat. This is a truth that must be told against all the clamour of alarm bells and icebergs crashing or we’ll end up in that lifeboat… and I’m sorry to say that it will be for no other reason than that we were tricked into it. The world is not overpopulated. You heard me right! The notion that it is is a myth and a dangerous one because it encourages ideas like Linkola’s. You might find it hard to believe that the world is not overpopulated when you consider that there are more than 6 billion of us alive right now. Take a look at any industrial city anywhere in the world and they’re hellholes! But they are localized hellholes (and hopefully temporary ones), and this is the point. In fact it’s worth opening an atlas at this juncture and taking a look at the population density colour chart which most of them have. You’ll immediately see that almost three quarters of our planet is covered by the oceans and seas; then you’ll notice that of the remaining 30% or so of exposed land, only about 20% of that is inhabited to any great degree, most of the Earth’s people are crammed into a few rather small areas, Europe, the plains of China, India and a couple of smaller regions of the Far East. There are a few hotspots elsewhere, for instance in North America and Central Africa, but basically we’re all standing shoulder to shoulder in the corner of a big, empty room. Now at this point someone’s going to say “Yes, but it’s not just about space, it’s about food and resources for all those people.” And that is why the world is not overpopulated; it only looks as though it is. It looks like this, not because the Earth is not an adequate home for so many people, it is simply because we are such bad tenants. It’s worth reading this article for a bit of background: http://hpanwo.blogspot.com/2008/06/terra-preta.html . The discovery, or should I say “re-discovery”, of Terra Preta is just one illustration of how grossly unnatural are current lifestyle is; and that if we changed it we could vastly increase the yields of farmland, or reduce the space taken up by farms and leave more room for wilderness. Those smaller farms would also be non-polluting and not destroy topsoil. ORMUS is another good thing (See: http://www.subtleenergies.com/ORMus/whatisit.htm), in fact I suspect that Terra Preta is ORMUS-based. Also consider other factors: once Free Energy is declassified there’ll be a vast reduction in air pollution (See: http://hpanwo-tv.blogspot.com/2009/09/freikraft.html) as well as plenty of building room on the brownfield sites where power stations used to be. We'll also be able to build machinery for turning seawater into irrigation and drinking water and pump it inland to drought areas for almost no cost or environmental obtrusion. Mother Earth has enough for everyone; we’ve just got to treat her with respect, give as well as take and she will deliver. In truth nobody knows for sure exactly how big the bio-economic capacity of the Earth is, and it is not infinite; it can’t be. However one thing’s for certain: when we live a more environmentally friendly manner that limit goes up, and it goes up manyfold. So to solve the apparent overpopulation problem we need to concentrate on our lifestyle, not our numbers. Pentti Linkola is a good example of how delusions can lead to Dystopia. We are right to love and care for the world we live on, but we must be careful not to let our love be harnessed to an agenda for even more horror and destruction. 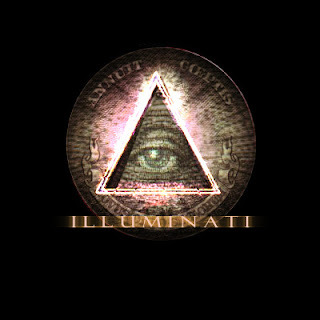 The mainstream environmental authorities and organizations are Illuminati-infiltrated through and through; Greenpeace, the Green Party etc, see how those organizations have changed, becoming milder and eager to appease, and betraying the principles for which they were originally established. This terrible mistake relating to man-made global warming, the call for nuclear power and brutal taxation on emissions of what has been rebranded… and it’s no exaggeration to use that word… Carbon. So by all means campaign on Green issues; I do so myself, but beware! There’s no frying pan so bad that it justifies us jumping into a fire to escape from it. There’s a saying among writers: Never show anybody else a work in progress. I always went along with this; all my writing was something secret that no other soul saw until publication day. But now I’ve decided to break that golden rule. I’m going to write the first draft of my new novel publicly, posting everything I write on Ben’s Bookcase, as I write it! Yes, you’ll be able to have a good laugh at all the mistakes that previously just made me cringe in private. This really is a unique opportunity, exclusive to HPANWO-readers. 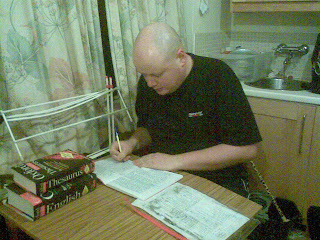 Few ever get the chance to witness a novel being written, in fact has any writer ever done it before? I’ve written Part 1 already and given it the working title: The Obscurati Chronicles. The reason I’ve decided to do this is mostly because of the urgency of the situation in the world today. The novel has a paranormal and conspiracy theory-based theme and any information or inspiration contained therein needs to be read by people here and now, not in 5 years after the rigmarole of bringing the story out as a book. However when the novel is finished I will probably try to get it published as a book. Another saying is that writing is the loneliest profession and by sharing my writing experience with you all I‘ll be happily breaking that rule too.